A screenwriter and filmmaker from Honolulu, Hawaii, Laurie Arakaki specializes in evocative, darkly comic films that seek to illuminate the unique, often overlooked intersections of class, culture and gender. 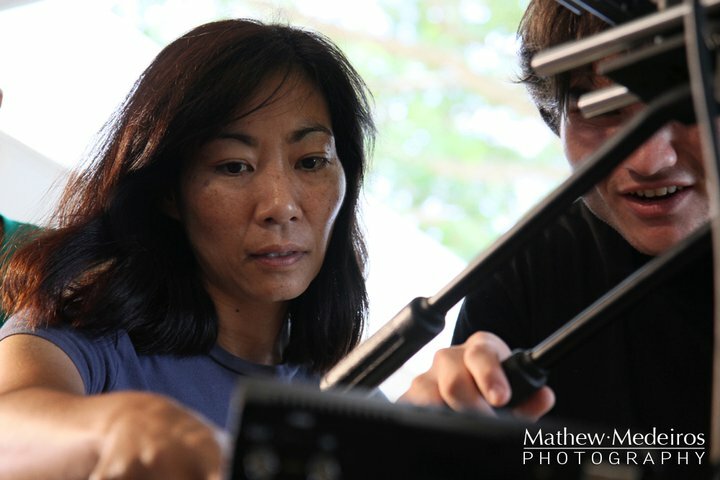 Arakaki has drawn critical praise for her short films I Spy (winner of the Women’s Filmmaking Initiative Screenwriting Award), which debuted at the 2011 Shanghai International Film Festival, and Kill Haole Day (winner of the 2010 Grace K.J. Abernethy Screenwriting Award). While in Shanghai, Arakaki collaborated with Shanghai University students in making Blind Luck, a short film she wrote and directed and that premiered at the 2011 Hawaii International Film Festival. Prior to her career in filmmaking, Arakaki worked as a designer for the Honolulu Advertiser, where she garnered awards from professional organizations such as the Hawaii Publishers Association and the Society for Professional Journalists. She is currently studying film at NYU’s graduate film program.